The opening whistle hasn't blown on State of Origin 2018 and Queensland has fired the opening salvo, nabbing two of Sydney's best chefs. And if their shared choice of location is a barometer, Burleigh Heads, just a hop skip and jump over the NSW border, is poised to rival Byron Bay as the new northern food hub. 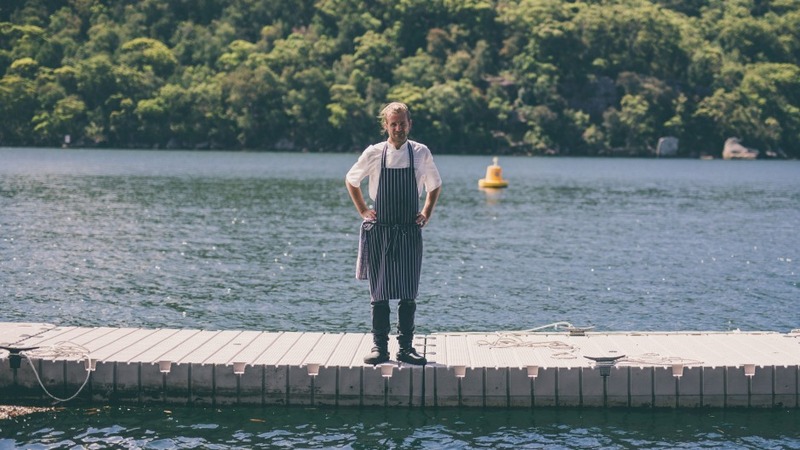 As Good Food predicted earlier this year Alex Munoz Labart (Marque, est., Monopole) is finally opening his own restaurant, while Guillaume Zika, who nabbed two hats at Cottage Point Inn, will slide into one of the most ambitious projects seen on the Gold Coast in years. Ben May (Mrs Sippy) and businessman Bob Magid snapped up the massive waterfront Burleigh Beach Pavilion, a building which would require its own mooring if any closer to the water. Zika was packing his boxes last week to move to Queensland. May confirmed Zika, one-time head chef at London's now closed Michelin-starred Hibiscus restaurant, will run a new eatery on the Pavilion's upper level. "Alexander & Co is doing the design. It'll open in December," May says. More than $5 million is being splashed on the rooftop venue, another $4 million on the exterior of the building, which already houses the well-reviewed Rick Shores restaurant. It will soon have some local competition, with Munoz Labart and his wife Karla opening Restaurant Labart in July. The chef, most recently head chef at Barangaroo's two-hatted Cirrus restaurant, is pitching the 60-seater as a high-water mark for food while still being accessible. His wife, who grew up on the Goldie, says: "I've even persuaded Alex to serve a savvy b with ice on the side, just as us locals do."